Spend any time talking to motorcycle riders and the subject of oil comes up. 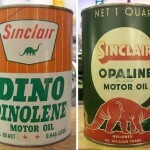 Vigorous debate can erupt over which is the best brand or weight, or whether one should use synthetic or “dinosaur” oil. Simply raising the question “How often should I change my oil?” on an enthusiast website can lead to multiple responses and sometimes fierce argument. The life-blood of a bike’s engine is one of those hot-button topics — like tires — that really set people off. Back then everything was 30 weight. And it was changed, according to dad, every 5,000 miles, period. If the odometer was about to roll over and you were late for the movies, you stopped everything, jumped under the car and pulled the oil plug. That was law and it was reinforced by hundreds of lectures, reminders and brow-beatings. So it’s no mystery why I also became an obsessive oil changer. And for reasons that remain unknown to me I upped the frequency to every 3,000 miles. That created a bit of a problem for the avid rider, who began changing oil a lot. At one point, the inside of my garage looked like a used oil storage facility. 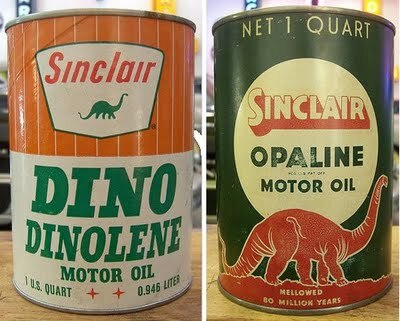 Every plastic jug or old anti-freeze bottle I had was filled with the spent brownish liquid, which I stashed on shelves and behind boxes, waiting, I guess, for the oil fairy to come and take them away. The oil fairy never came, but a friend gave me a tip that changed everything. Turns out, oil change businesses like Jiffy Lube will take used oil and filters and recycle them for you — for free. All you have to do is haul it down to them. Voila! Today, my garage is used oil-free. I also have cranked back a bit on how the frequency of oil changes. My bike can take it and you know what? It’s better for the planet, which, afterall, is a beautiful place to ride. This entry was posted in Uncategorized and tagged oil by Bill. Bookmark the permalink.